Onoecho-dori (occasionally transliterated as Onouecho-dori), Yokohama, Kanagawa Prefecture. This was the street leading to the railway station. The station can be faintly seen in the background. The Yokohama Shiloh Church is on the left. 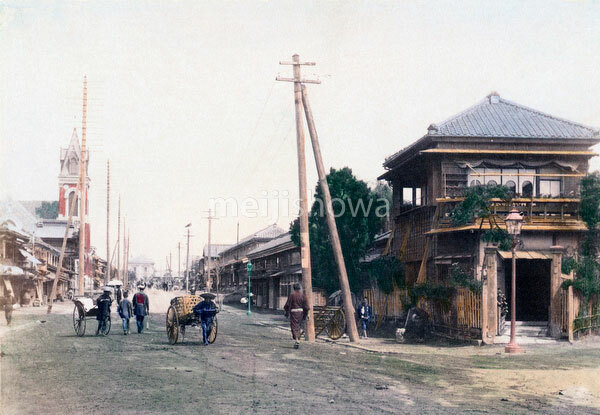 On the street are pedestrians, a man pulling a jinrikisha and a man pulling a cart.